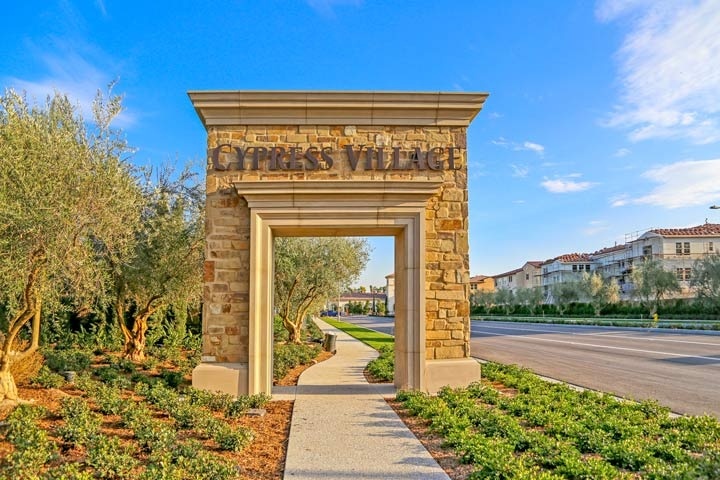 Magnolia homes are located in the Cypress Village area in Irvine, California. The Magnolia neighborhood is a brand new community with homes built between 2014 to 2015 with three to four bedroom floor plans that range in size from 2,193 to 2,830 square feet of living space. These brand new construction homes are two story homes built in the Spanish and Mediterranean architectural style with large rooms, gourmet kitchens and bonus great rooms in select models. The Magnolia community is under a homeowners association with monthly dues and an additional Mello Roos tax required. This is a great location in the East Irvine area with easy access to the 133 and 5 freeways from Sand Canyon Avenue. Many of these homes are still under construction and feature granite counters, formal living, dining and are often Green Point rated as energy saving homes. Below are the current homes for sale and for lease in Magnolia. Please contact us at 888-990-7111 for more information on this community and any of the homes listed for sale here.